Took one of two optional routes between these two towns and ended up picking the shorter of the two at 21.0 km (13.1 mi). Except for a few long climbs, this was one of nicest hiking days with some great views along the way. I arrived at the albuerge at a little after one. The door was open and I was told that the hospitalero will come at 8:00 pm and stamp our credentials and collect the fees. The first pic is in front of one of the rustic gates to keep the herd of sheep, goats, or cows in. The rocky path is not one of my favorites, but luckily it wasn’t very long either. 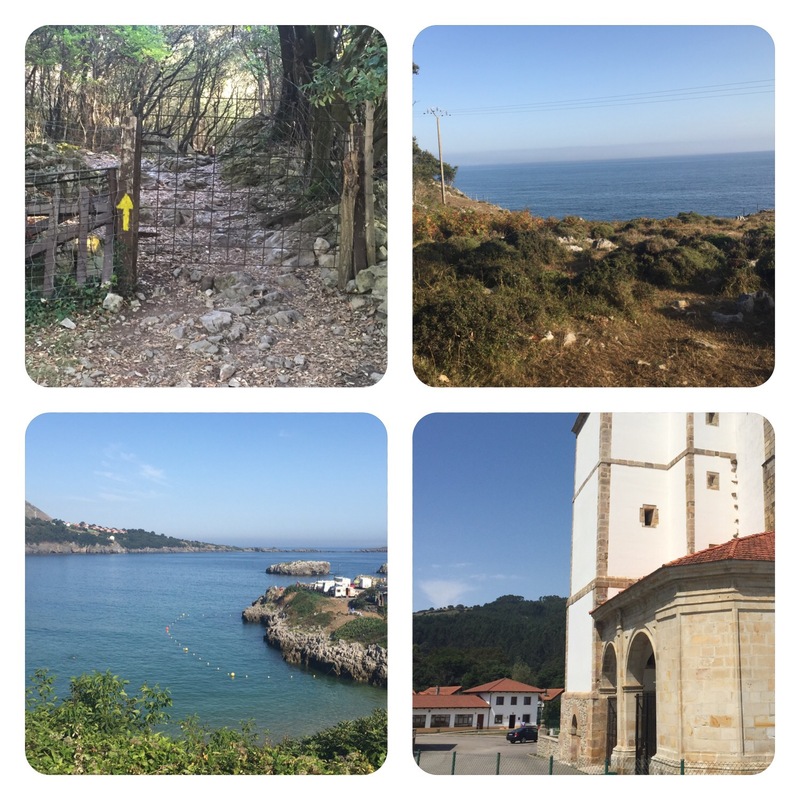 The pics of the sea are the essence of the Del Norte Camino–can’t get enough of these kinds of views. The fourth pic is of the church at Liendo with the albuerge, the white two-story building, just down from it. I love the ocean views on the Del Norte Camino! Sounds like it was a good day of walking.